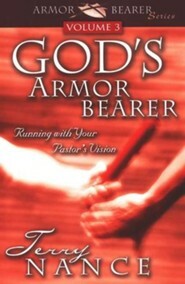 Like leaders in the Bible, clergy today need Christians willing to line up beside them in "battle". Reaffirming the significance of the local church, Nance discusses the importance of running with your pastor's vision. Learn how to connect with other members of the congregation, leave your comfort zone - and develop your gifts for spiritual service. A Study Guide (WW426112) is also available. 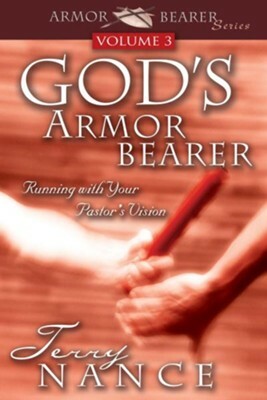 Terry Nance, in the sequel to God&iquest;s Armorbearer, champions the local church and its leadership, focusing believers on the traditional, time-honored values of the local church. He reaffirms the place and position of the local church in our lives. In a day of apathy and indifference, Nance calls us to faithfulness to our local churches, pastors, leaders, and congregations in an effort to more effectively impact our local communities. 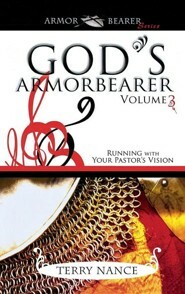 I'm the author/artist and I want to review God's Armorbearer Vol 3: Running With Your Pastor's Vision - eBook.